KATHMANDU, Aug 28: Budhanilkantha School clinched the title of First Inter-college A Level football tournament on Saturday. KATHMANDU, Aug 28: Verisk IT won the title of M and M Remit UIC Cup Corporate Indoor Cricket Tournament played on Saturday. 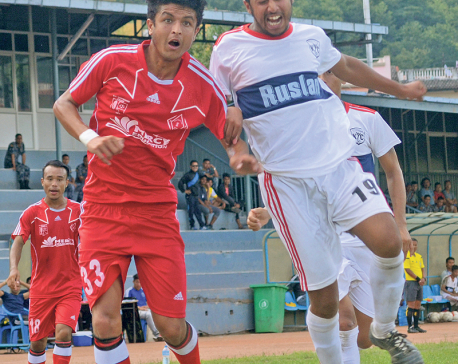 KATHMANDU, Aug 28: Pulchowk Sports Club recorded second win in a row with a 4-1 rout of Samajik Youth Club while Bansbari Club and Khumaltar Youth Club shared points playing 1-1 draw during the Martyrs Memorial B Division League football tournament at the APF ground in Halchowk, Kathmandu on Sunday . KATHMANDU, Aug 28: Ruslan 3X3 NeBA President Cup Basketball tournament will begin from Tuesday at the Dasharath Stadium Covered Hall in Tripureshwar. 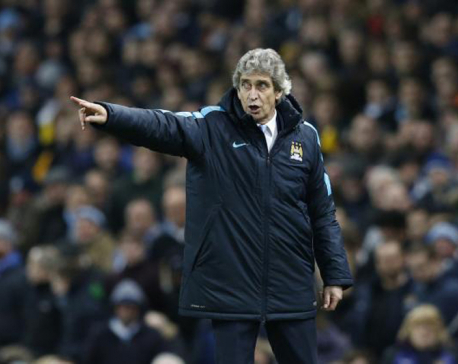 BEIJING, Aug 28: Former Real Madrid and Manchester City manager Manuel Pellegrini has taken over as head coach of Hebei China Fortune in the China Super League. BARCELONA, Aug 28: Toni Kroos' late score ensured Real Madrid won its home opener over a feisty Celta Vigo 2-1 on Saturday, while Atletico Madrid stumbled in a second straight round of the Spanish league. 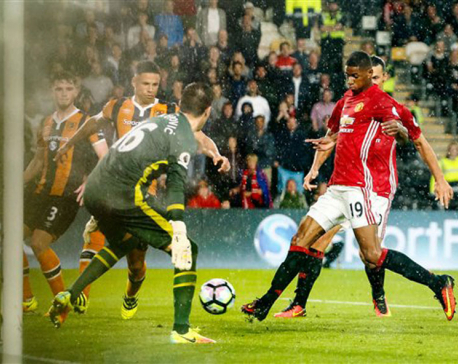 HULL, Aug 28: Substitute Marcus Rashford scored in the second minute of stoppage time to earn Manchester United a 1-0 win at Hull and a third straight victory to open the English Premier League on Saturday. 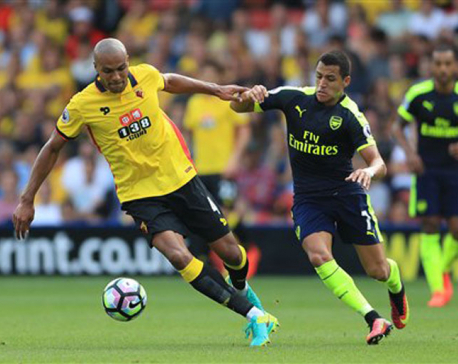 WATFORD, England, Aug 27: Alexis Sanchez scored one goal, set up another and also earned a penalty as Arsenal used a dominant first-half display to beat Watford 3-1 for its first win of the Premier League season on Saturday. 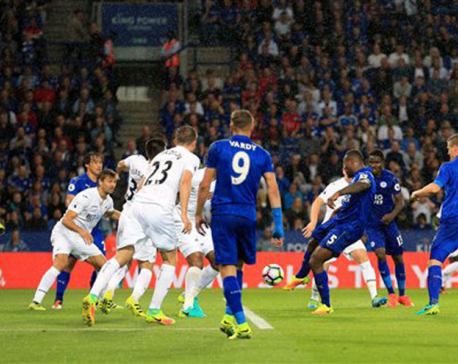 LEICESTER, England, Aug 27: Leicester earned the first win of its Premier League title defense, beating Swansea 2-1 thanks to goals by star striker Jamie Vardy and captain Wes Morgan on Saturday. 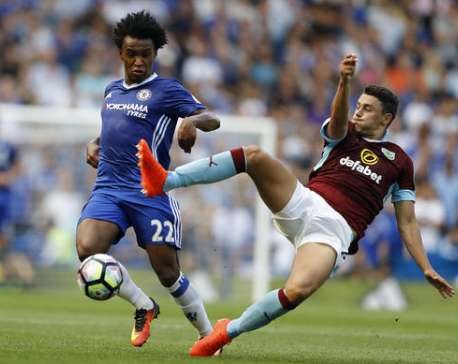 LONDON, Aug 27: Chelsea continued its perfect start to the English Premier League under new manager Antonio Conte, beating Burnley 3-0 on Saturday.